Fairhaven Residence | Shelby White - The blog of artist, visual designer and entrepreneur Shelby White. 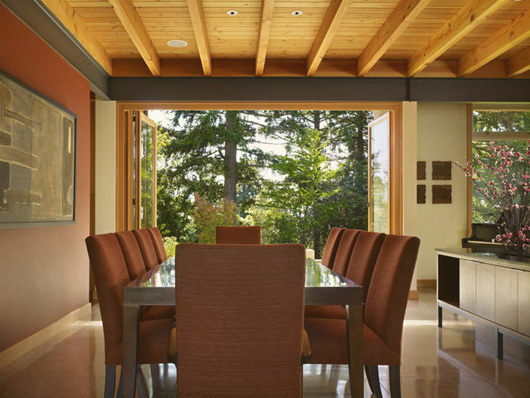 It’s always interesting to stumble upon great architectural/interior design that is right around Seattle. 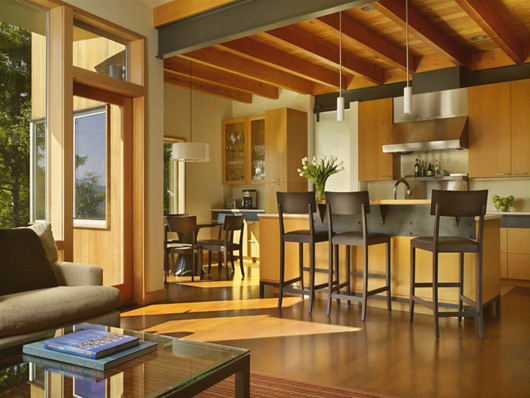 This particular urban home is just out of Seattle and was designed by Deforest Architects. 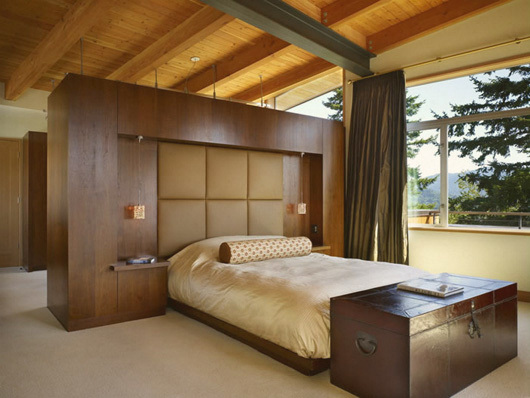 I particularly enjoy the close up image of the beam joints and the dark woods used for the divider wall behind the bed. kinda wonder what the floor plan looks like, do you have that by chance? seems like it be a cold place to live in during the winter. looks awesome though. 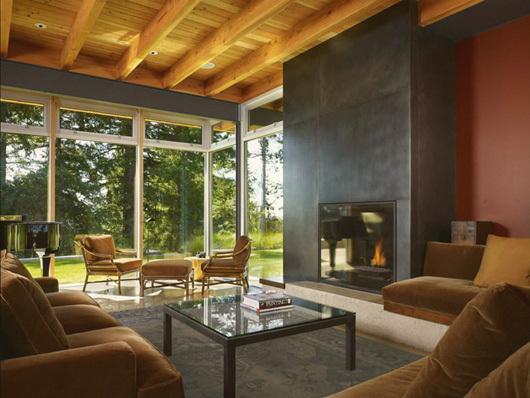 That’s an awesome place, I love all the wood, and that fireplace is amazing. I just spent a good twenty some minutes browsing through your blog, I haven’t been on here in awhile and forgot how awesome and inspiring your blog is. I look at plenty of photography blogs so it’s nice to get away and check out your blog. Anyways keep up the good work. Cheers! I love to hear that you enjoy it! I actually feel as if I’ve been sidetracked away from photography here the last few months but I have plans to do some shooting and also to get some other photographic work online here. I’d still like to keep photography as my second basis for this blog. 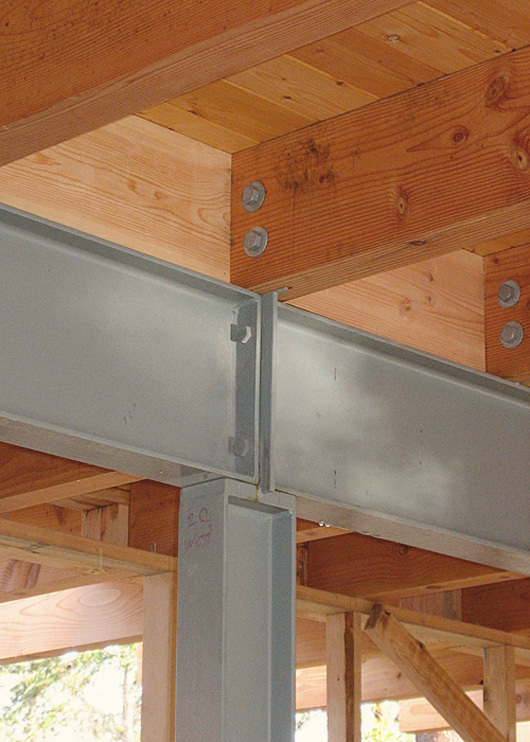 the metal beams along with the wood comes together nicely. 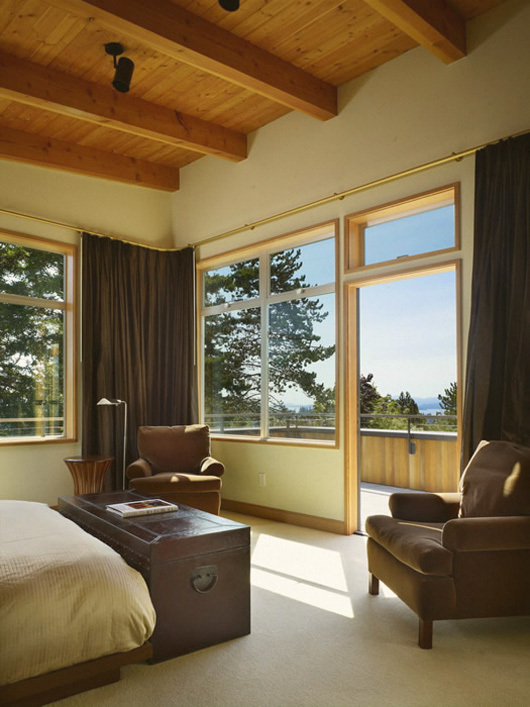 the only thing i’d change right away is the cheesy golden beams that hold the curtains. just curious about whats on the other side of the bed wall, probably a closet?